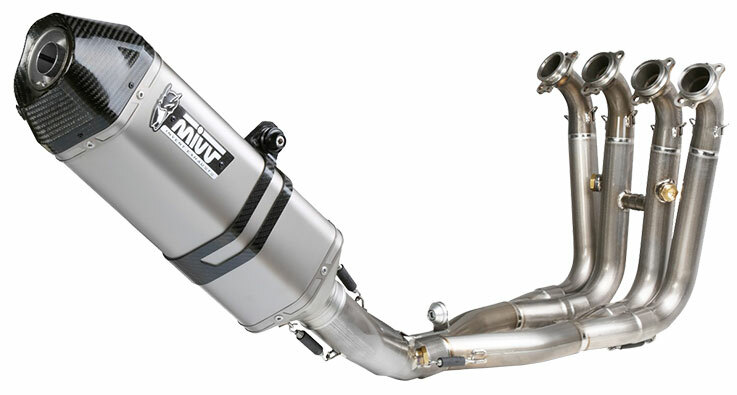 The complete exhaust represents the maximum expression of Mivv technology. Each individual product is tested on our test benches, paying the utmost attention to engine performance, in order to ensure the best possible results. 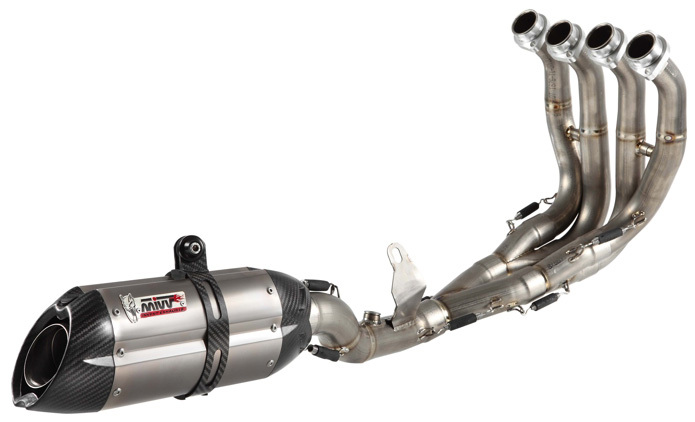 Full System exhausts include two different versions: Evo and Steel. The Evo version, intended for the racing world, is the range of excellence of complete Mivv exhausts, conceived to meet the needs of the teams engaged in the various championships. Developed taking advantage of the experience acquired in the world of racing to the highest levels, like the MotoGP, the Evo version is fully made of grade 1 titanium and the components are all TIG welded. The Steel version is the range of complete Mivv exhausts that only differ from those of the standard Evo range due to the materials used. Instead of titanium, they are in fact made of 1 mm thick AISI 304 stainless steel.